A 24-hour strike by Ryanair pilots is taking place all over Europe, affecting around 55,000 passengers in the largest employee strike in the 33-year history of the Irish low-cost airline, Reuters reports. 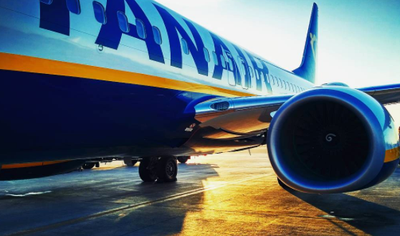 Last year before Christmas, Ryanair managed to avoid widespread strikes by agreeing to recognize unions for the first time, but it has not been able to calm spirits over slow progress in negotiating collective labour agreements. CEO Michael O’Leary was once quoted as saying he would rather cut off his hand than recognize unions. In recent days, Ryanair announced cancellations of 250 flights in and out of Germany, 104 to and from Belgium and another 42 in Sweden and Ireland. Ingolf Schumacher, pay negotiator at Germany’s Vereinigung Cockpit (VC) union, said pilots had to be prepared for “a very long battle” and that it could take months to push through change at Europe’s largest low-cost carrier. Ryanair operates more than 2,000 flights a day, serving 223 airports across 37 countries in Europe and North Africa, and insists it will keep its low-cost model that transformed the industry and made it Europe’s most profitable airline.